Renew your maintenance agreement for another year (or more). If you are a commercial client with a standalone license that has not expired (or expired less than 30 days ago) you can use the Standard or Premium Maintenance Renew. 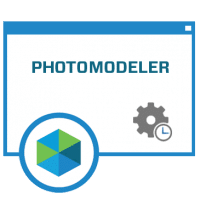 PhotoModeler will show your maintenance expiry date on the License dialog and the Getting Started pane. If you have maintenance expired more than 30 days ago, are educational use agreement customer, have a netfloat license, or wish to renew for more than one year please use the PhotoModeler Maintenance Renew Calculator. If you have PhotoModeler Scanner or UAS, use the PhotoModeler Premium Maintenance product.